With summer coming to a sad close, fall brings about the start of many new things. Families with children know all too well that as August commences, so starts the beginning of a new school year. And more often than not, translating this yearly event usually means monthly budgets go out the door. Back-to-school shopping has turned into a multi-billion dollar industry for retailers across the country. From clothing and backpacks to school supplies and new haircuts, the spending quickly adds up. Lucky for you Tio Rico Te Ayuda, your Arizona-based bad credit lenders has a few options that should help you to get out of this financial bind while still getting your child prepared and excited to hop on the school bus that first day. As a qualified, secure Arizona-based financial lender, Tio Rico offers personal loans that will get you the cash you need fast to pay off some of those quickly accruing bills you have piling up. In order to obtain a Tio Rico personal loan, which can vary in amounts up to but not exceeding one thousand dollars, you only need a few items. To qualify for a personal loan, you need a motor vehicle registration, need to be 18 years or older, have a government-issued ID, and have an Arizona bank checking Account/Debit Card from your employer. With these four items, you can be approved and your application processed in as little as 30 minutes. Another option we make available to potential customers of Tio Rico is taking out an auto title loan. An auto title loan is when you use you wholly owned vehicle as equity. Similar to personal loans you can obtain a car title loan quickly and simply with Tio Rico. All you need to apply is a picture ID, certificate of title, the vehicle you wish to use as equity and be 18 years or older. If the loan is greater than $2500 we usually require full coverage insurance as well. 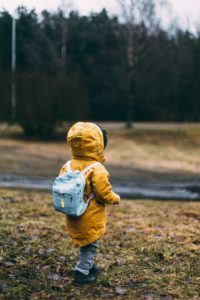 Don’t stress a moment longer about getting your child the items they need to be adequately prepared to tackle another year in the classroom and on the playground!